Many customers have the problem to move heavy equipment but do not have the right jacks and skates to do the job. HTS offers now a new service to their customers – jacks and skates for rent. Wether it is short term or long term we have the right equipment in our hire department. Let us know what you have to move and we offer you the right solutions for rent. If you are happy you can always get a quote on the full product range. Call now 01785-816747 to get you free quote. We are proud to have become the exclusive distributor of Gruniverpal cranes in the UK and Ireland. These are highly versatile cranes, used in a range of fields for moving machines and moulds. 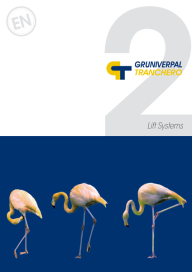 Used in civil, industrial and military scenarios, as well as in rigging, these cranes are incredibly effective when having to reach high capacities in limited areas. There are options for both electronic or diesel engines in the standard cranes, which come in five different models, offering a range of weight capacities from 300-25,000kgs for cranes and even greater weights for mold handlers. Certain battery-powered units offer an in-built charger. 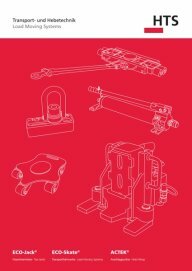 The lightest crane in the range weighs 2000kgs and all have a patented kinematic system, giving them greater lifting capacities than other similar-sized cranes. Indeed, one of the stand-out features of Gurniverpal cranes is their compact design, making them ideal for working in contained spaces. Depending on your particular requirements, Gruniverpal can offer a variety of options including ultrasound sensors for distance keeping, extendable or rotating booms, anti-marking tyres, electro-hydraulic winches, stabilisers for even higher capacities and radio remote control.